I’m soooooo glad it’s Thursday!!!! Grey’s, Scandal, and How to Get Away With Murder, I LOVE all 3 shows! Thursday nights belong to you! 3 great shows on 1 network all in 1 night. In my opinion, You (Shonda) are one of the most talented people in Hollywood. I am so proud to call you sista! 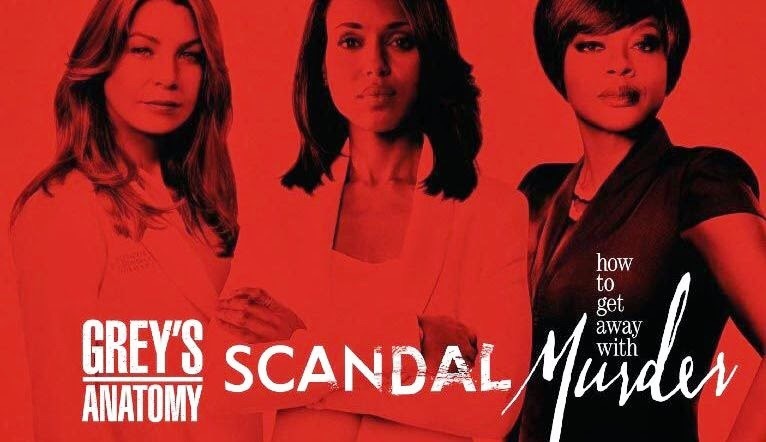 Times are changing, we finally get to see three very talented women play the “leading” characters on three of the most talked about primetime tv shows: Dr. Meredith Grey, The Formidable Olivia Pope, and Professor Annalise Keating. I appreciate Shondaland for bringing these powerful women to life. They are flawed and fabulous all at the same time! I’m so glad the break is over! I’m so ready for all the drama that these shows bring to my life!! I know that we are in for an emotional rollercoaster! The Gladiators are pumped and ready to go!